They say bigger is better and they’re not wrong. 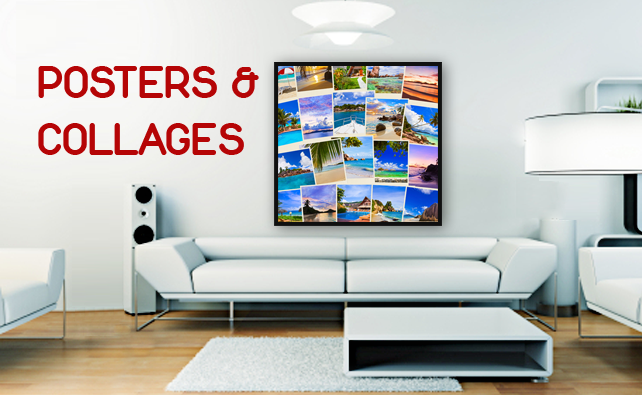 Imagine one of your beautiful photos proudly displayed on your wall as large format poster print. Let us print your meaningful memories by creating a stunning collage; we can print posters and collages from a range of digital media including USB sticks, memory cards and mobile phones, as well as printed materials (i.e. prints from prints). At Foto Factory, we can transform your precious memories so you end up with a wonderful piece of wall art; we print all standard posters sizes and can even offer custom sizes too! Photo collages make great keepsakes; the perfect reminder of a special occasion like a christening, birthday or holiday so why not dig out snaps from the occasions that mean something to you and let us create a unique piece of art.